A Phase That I Have Been Gone Through. Hi. 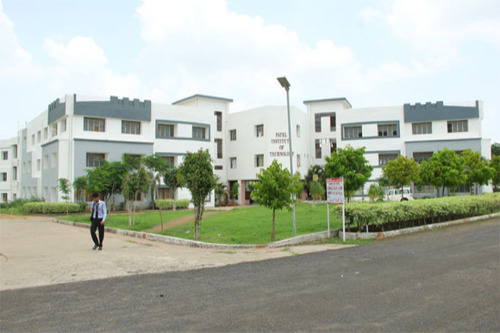 I am Amritesh and I am a 3rd year (6th) student of Patel Institute of Technology (RGPV). I got admission in year of 2015 as per Diploma to Degrees basis it was a faculty that helped me to get in . At the start of my session I was surprised for everything that what is going here, All the faculty were friendly nature at the starting and there after within few weeks college and their behavior was not that much good that they shown in the starting. I remember once I was seeking to get my documents back that I had submitted at the admission time, and the worst thing I have faced is they (Faculty) and also director was not in mood to return my documents they were asking as " show me any proof which asking for your documents means Company/Organizations Notice" I was in so trouble for this matter and I walked to every department and even asked to everyone for help. And one more thing that they don't give perfect marks for sessional and practical and one student can see them at the time of admission telling about good marks. 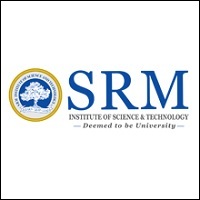 I.T Infrastructure :Three well equipped Computer Labs with latest system 10 MBPS (I: I BSNL).Internet connections for conducting an online test with the capacity of 240, 120, and 120 respectively. Cafeteria :A well-furnished canteen under the direct supervision and management of the PGOI for students, faculty, staff members and visitors to serve breakfast, lunch, tea, snacks, and dinner. Periodical inspection is conducted to check the quality, hygiene, and ingredients. Auditorium :Auditorium - Spacious Air Cooled auditorium with the capacity of 1500 for conducting various cultural activities along with pre-placement talk in a single room. student volunteers to facilitate the process: we have, Students Placement committee" to arrange all the things in a proper manner.Seminar Hall - The seminar hall having the seating capacity of 150 has all the modern electronic amenities. 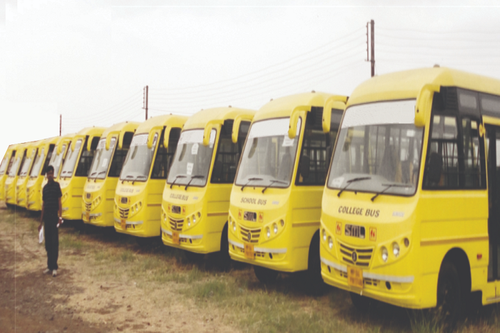 Transport Facility :College bus facilities are available from all corners of Bhopal. Total 35 buses run every day from every corner of Bhopal including Bairagarh, Mandideep, Ayodhya bypass, Vidisha, Kolar, Bhopal Station etc. Saturdays and/Sundays bus facility is provided to the students staying in hostels to visit the nearby areas such as MP Nagar, New Market, Van Vihar, Boat club etc. 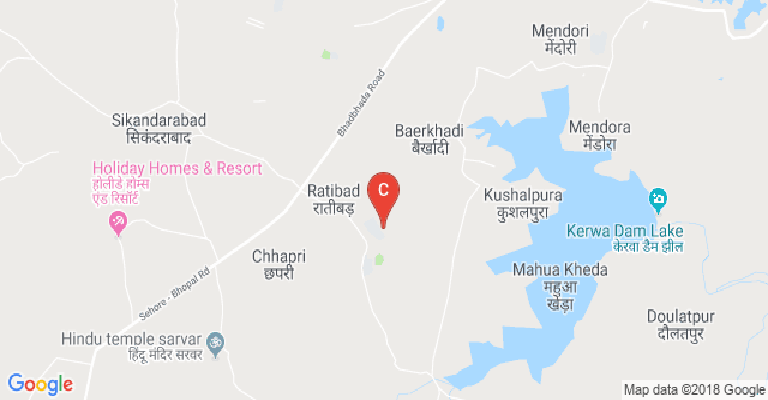 Touring facility is also provided. Alumni Associations :The PGOI has established Alumni Platform (Alumni Association) that will give an opportunity for the pass out students to interact with each other, share their experiences when they were students at PGOI. Besides they will also make suggestions for further growth of PGOI including imparting quality education to the students so that they are suitable for employment for the industry &amp; establishment of their own industries (Start up or to serve the society at a large) during 2016 and 2017. 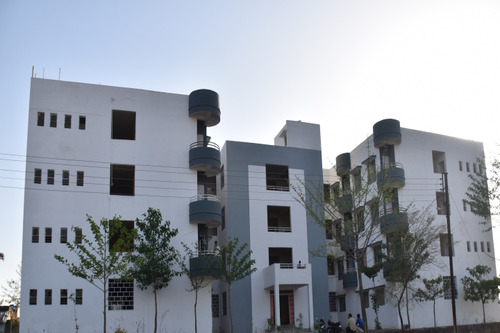 Classrooms :Teaching facilities are a prime requirement for imparting quality education. All the colleges have Smart classrooms which are spacious and equipped with modern equipment such as LCD &amp; overhead projectors. All the classrooms have surrounded ambiance for studies.